Ron's Author Bio: Ron Fletcher started developing mobile apps a couple of years ago and has been hooked on to it since then. He is a NOT SO geeky techie and likes to research new technology and applications. In his spare time, he does a bit of backyard gardening and loves cooking using his mom's recipes. If you are an Android user, sometimes you may be frustrated with the low performance of the device. Especially when you are loaded with lots of apps and media files in your Android mobile, the chance for reduced efficiency goes high. Super Speed is an Android app that helps you right on this situation! 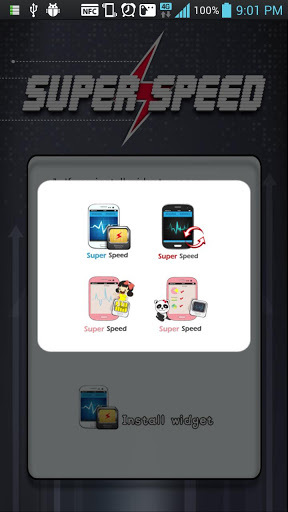 As many other apps in the store, Super Speed may not have the best of screens and features visually visible outside. The app shines where your device is in trouble with loaded cache memory and slow performance. It almost works on the background and keeps your device as a real “smart”phone. The first tap on the app takes you to the one and only screen where two buttons are shown to activate the app working and deactivate it. If you activate Super Speed, you will be notified with a simple pop-up message followed by the confirmation. As said, you may not see any further graphics or performance charts from the app, but it should be working behind making your Android device faster! Once you activate the app, you can simply tap on your home screen to add the Super Speed widget. I am sure there will not be any differences on your devices for the initial few hours, but the app started showing some good results after few hours. The only let down is there are no measuring arrangements on how the device improvements are working! There should be some screens that show the memory usage, processor speed and active applications, etc. Some of the competitors of Super Speed clearly showing these features, only the improvements in the speed or memory won’t work in big time! This is a downside for the app, but the effectiveness in the output is highly appreciable! 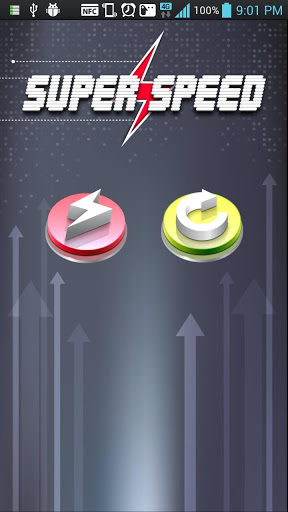 Super Speed is a paid app available on the Google Play Store for $0.99. 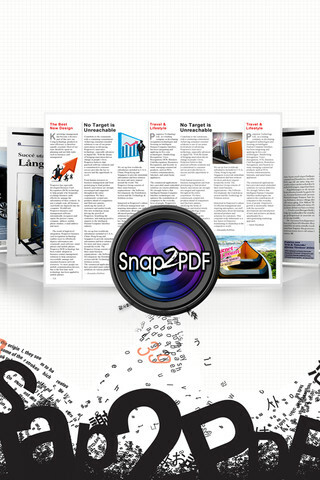 It runs on Android mobiles and Tablets with OS version 2.1 and up. Is your Wi-Fi not getting connected properly while roaming? What do you think about using your friend’s Wi-Fi while traveling long distances? Yes, here is an Android app developed to help you overcome this issue. This app named ‘WiShare‘, lets you and your friends share a Wi-Fi connection through smart devices. Let’s see how the app works. WiShare app assists you in building up a Wi-Fi network with your friends and family. 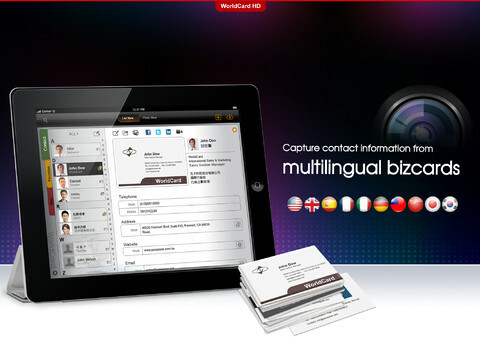 You can invite your friends, share the network and perform various activities like chatting and tagging photos. You can do this and much more, even when you are on the go, with a controlled usage of Wi-Fi. You have to create a home Wi-Fi account as soon as you install the app, to share the connection with your friends. Just click on the Share option and allow friends in your phone’s contact list to use your Wi-Fi. You need not disclose your password to anyone. You can also block people from using your Wi-Fi connection, if required. Using the Change Wi-Fi option you are allowed to create a new home Wi-Fi account. As WiShare secures your password and personal details, you need not worry about security issues. WiShare has a clear map that shows your current position and the number of Wi-Fi connections available around you. At times when your Wi-Fi is not enabled due to some network issues (especially when you are traveling), the map shows you the locations in which Wi-Fi connections are available. This is of great use in helping you get connected again, as you can invite new people to share their connection with you. To assist you in carrying out this process, WiShare provides an option called ‘Take a Snapshot’, using which you can take a snapshot of the map. 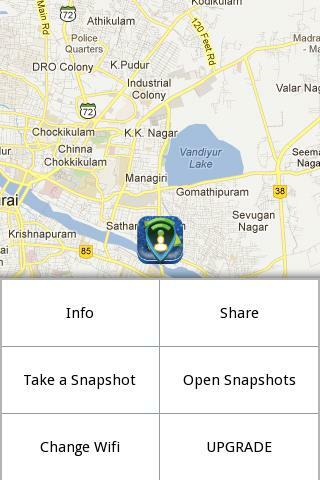 You can view the snapshots and reach a suitable destination to get the Wi-Fi connection. WiShare has a descriptive tutorial that explains all the options in the app. The highlight of this Android app is that you can use it to create a network of around 500 people! I felt that the user interface of the app could have been improved. Apart from this, the app is a useful tool to share and create Wi-Fi networks, whenever required. The app is free for 90 days and later you have to select a suitable subscription to continue using it. WiShare requires an Android version of 2.2 and above.